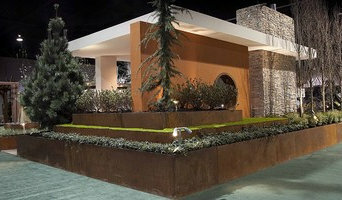 Our goal at Mountain Desert Landscape Design is to provide an unprecedented level of close, personal customer service. By designing with quality and value, we create spectacular outside living environments that become a natural extension of your home. We are dedicated to designing beautiful landscapes and hardscapes that are tailored to your lifestyle and within your budget. 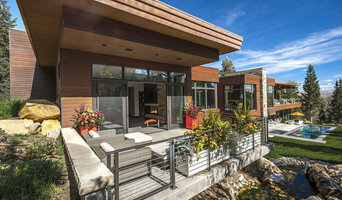 Established in 1986, Land Design by Armstrong has been providing outstanding service to clients in Salt Lake City and Park City, Utah for more than two decades. Clients rave about the outstanding quality, attention to detail and professional service they receive. Armstrong handles all aspects of your outdoor project from concept and design, to building and maintenance. Clients are provided a project coordinator that stays with them from start to finish of the project and beyond. They work with you to create your perfect outdoor living space. Clients of Armstrong enjoy the timely responses to inquiries and professional contract documentation. Land Design by Armstrong is respected by both clients and vendors for their professional approach to their trade. The staff is comprised of seventy skilled crafts people who truly understand their work, and all are full time, licensed, bonded and insured employees, Land Design by Armstrong does not sub-contract. They work in an environment which encourages their creative input and execute projects in a manner conducive to creating long-lasting results. Projects are left clean and neat on a daily basis and brought to a picture-perfect finish. Land Design by Armstrong is dedicated and determined to offer their customers the highest quality job possible. Call Land Design by Armstrong today at (801) 557-4217 to schedule an initial consultation and quote for your landscape design project or landscape maintenance agreement. 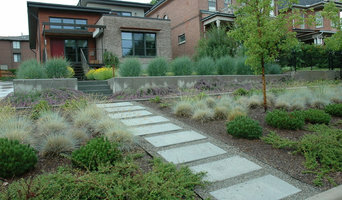 Our goal is a functional economical landscape design that is water wise, fire wise, and beautiful. Utah Landscaping services the Salt Lake City, Park City, and St. George region with superior design skill and ingenuity. Whatever you've envisioned for your landscape becomes a stunning reality with our creative vision and expertise. My goal as a designer is to create something beautiful and functional for you. I provide full-scale landscape plans, planting plans, landscape consultations, planter design and installation, and indoor plant consultation. I have been practicing landscape design for 4+ years and have worked in both the residential and commercial sectors, for large and small companies, and for local nurseries to keep my horticultural knowledge sharp. F&S Landscape is a full-service residential and commercial landscape company, specializing in helping our customers create landscapes to be excited about. Our owners’ expertise is a combination of over 30 years in the landscape industry. 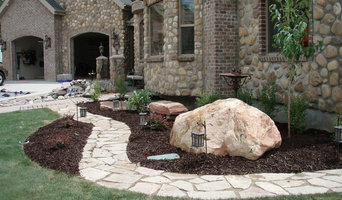 F&S Landscape is the result of their desire to create a landscape company to make a better experience for our clients. Whether you are looking for small improvements for your yard or to have a complete remodel, we can help. If you are moving into a newly constructed home with a minimal yard, or no yard installed, we can help. If you want to develop a master landscape plan and a detailed cost estimate and begin phasing your yard improvement over time, we can help. The work of this outdoor professional includes most everything surrounding a home's exterior. A landscaping architect can even work with the home architect to choose the right spot for your Lehi, UT house. From there the Lehi landscaper will develop preliminary concepts for your front or backyard design based on individual needs including the climate and activities that will take place, as well as layouts and planting plans. Landscape architects will also design any structures or outbuildings that will be added to the space. Any grading changes that will be added to the yard are also the responsibility of the architect. This includes any drainage modifications. An engineer can also be responsible for these tasks, but licensed Utah landscapers are fully capable. Like building architects, they will produce preliminary concept drawings as well as detailed construction documents and planting plans. Three-dimensional renderings and illustrative plans are all supplementary. A Lehi landscaping designer generally will have ecological, aesthetic and technical training, which helps them maximize the potential of your outdoor space. Keeping in mind both style and functionality, garden designers analyze your architecture and yard to produce a plan that may or may not include location and materials for walkways, patios, water features, fences, garden aspects and more. In addition, a landscaper in Lehi, UT will carefully assess your geographic region to choose plants, trees and flowers that will flourish naturally, as well as address concerns such as drainage, screening and soil conditions. Certain landscape designers only help with the planning portion, while some may deliver the plans and then oversee a hired landscaping contractor. Others — typically following a design-build approach — take care of both the design and all aspects of the landscape architecture and construction. Before you hire an Utah professional landscaper, consider the scope and emphasis of your outdoor project. Landscape architects, who typically hold advanced degrees in their field, are trained to develop comprehensive structural plans that include plants, hardscaping, water use, drainage and more. Landscape designers typically specialize in the aesthetic and horticultural, rather than structural, side of yard and garden planning. They might or might not have advanced training. Even within their fields, a garden designer may specialize in hardscape- or vegetation-focused designs. In some cases you might need to hire additional help to get the outdoor space you want. Here are some related professionals and vendors to complement the work of landscape architects & landscape designers: Landscape Contractors, Garden & Landscape Supplies, Tree Services, Gardeners, Lawn Care & Sprinklers, Decks, Patios & Outdoor Enclosures. 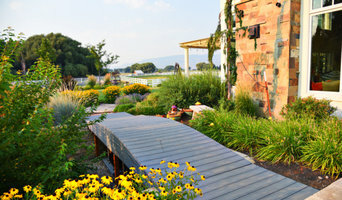 Find a Lehi landscape architect on Houzz. Narrow your search in the Professionals section of the website to Lehi, UT landscape architects and designers. You can also look through Lehi, UT photos to find a space you like, then contact the professional who posted the photo.